"Feeling Safer and in more control"
What I benefited from was being able to look at exactly what the nurses have for under my medications, my allergies etc on the tv easily using the remote. I would know what is happening forward and be prepared internally knowing, okay, I know what’s going on versus the rushed experience without knowing it being told what’s happening. We shouldn’t have to ask. The least helpful part was the immunizations reminder, even though I already took them but outside of The specific group. It won’t let the nurses update it. BEST THING EVER!! I only go to iNova because they have this implemented. Any office that doesn’t, I find one that does have it. I want to know what’s going on in my life too. I’m able to use this as a product to recommend when fellow doctors offices or any medical practice is opening, I always recommend MyChart for the best patient doctor experience. EPIC is an excel EMR system and I would highly recommend it to other hospitals. Specifically, EPIC My Chart keeps patient records organized and it is a super efficient system to put in all the necessary patient information in a centralized location. Specifically, Epic Mychart allows for great communication between the provider and the patient. All old messages are stored so that a provider can pull up old conversations/notes on the patient. MyChart provides patients the peace of mind to know that their provider is only a message away. I really can't say enough about this EMR system, specifically MyChart, but it is really a great system, for administrators, providers, and patients. It has so much information/tools that I feel like we have barely scratched the surface of all of its capabilities. I feel like we are underutilizing the system and we can do more! Easy to use. Quick way to gather information. 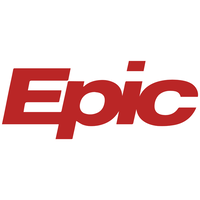 Epic and Cisco is an awesome combination in the healthcare world. Epic is accessible from the hospital to home and is very detailed with it's charts. There's really nothing that I don't like about epic. Please use this while in a hosoy. You can have your results as the team is going over your issues. My chart is great for patients to look up all their medical information as we are updating things from epic into their charts all the time. The patients have access to test results and everything now. Everything is available in real-time and in easy to read format. You can access most information that is pertinent in a quick and efficient manner. The entire platform is organized well for user ease. Some information is not displayed and I’m still not sure why. If you need details on a certain visit you aren’t always able to get then to show. I’m not solving problems but I do think it’s made me more aware and have fewer miscommunications. "Every hospital should use Epic"
I was a scribe for Beaumont and we used Epic to log doctor notes and patient information and also billing. I can't open multiple patient files simultaneously, which slowed me down. Electronic Medical Records and billing. "Easy to use and great way to keep in touch with healthcare providers"
The email feature only allows for specific subjects, so if you have something that doesn't fit, you have to choose OTHER. There should be a free typing area for the subject. Easy to use and great with the app. Managing my children's healthcare appointments, tests, and providers. Epic is the most streamlined charting system I have used- easy to navigate with the mouse or the keyboard, able to find daily/weekly views on all flowsheets. Sometimes flowsheets look different between each department in the hospital. Able to be used throughout the hospital (there is an application for each department) so the charting is more streamlined. I love the ability to access anything from personal data, to billing, to appointments. I did not like the lack of providers available on this software, there is a hassle when trying to add anyone new,. Download it, use it, it is amazing! "Epic MyChart Bedside improves communication between healthcare providers and patients"
I appreciate how patients can easily communicate any informations or questions to their healthcare providers. It truly improves the patient's experience. Patients and providers do sometimes struggle with the interface. This program makes it easier to answer patient's questions and address their concerns. I like having access to all records in one place. I dislike that Not all medical records are in there. Multiple specialists can access each other’s records. * We monitor all MyChart Bedside reviews to prevent fraudulent reviews and keep review quality high. We do not post reviews by company employees or direct competitors. Validated reviews require the user to submit a screenshot of the product containing their user ID, in order to verify a user is an actual user of the product. Hi there! Are you looking to implement a solution like MyChart Bedside?